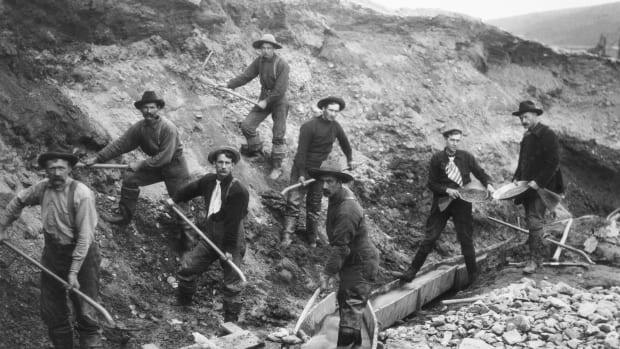 In the late 1890s, some 100,000 would-be prospectors journeyed to the remote Yukon region of Canada as part of one of the largest gold rushes in history. 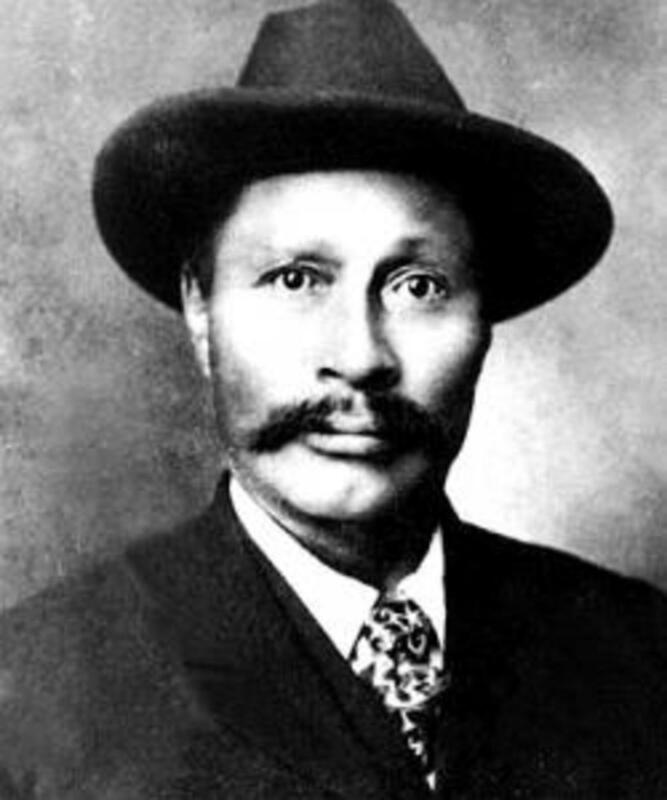 Skookum Jim, one of the men who triggered the Klondike Gold Rush. There had been whispers of gold in the Yukon since before the 1849 California Gold Rush, but the region’s freezing winters and rugged terrain had kept it off limits to miners. The first prospectors didn’t arrive until the 1870s, and by 1896, only around 1,500 adventurous gold-seekers were panning its creeks and rivers. In August of that year, American prospector George Carmack voyaged down the Klondike River along with two Yukon natives named Skookum Jim and Tagish Charley. The trio had planned on fishing for salmon, but after receiving a tip from a fellow miner, they set up camp at a small stream called Rabbit Creek and began looking for gold. On August 16, one of the men—either Carmack or Skookum Jim—uncovered a large nugget from the creek bed. 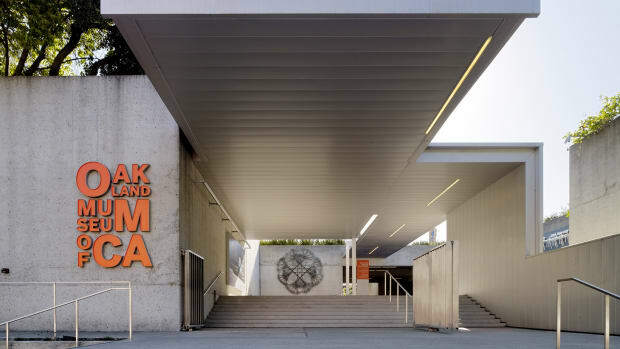 Upon further investigation, they found that the surrounding area was brimming with gold deposits. “I felt as if I had just dealt myself a royal flush in the game of life, and the whole world was a jackpot,” Carmack later remembered. News of the strike spread through the Yukon like wildfire. Rabbit Creek was soon renamed “Bonanza Creek,” and by the end of the month, local miners had staked out gold claims along its entire 20-mile length. Before long, an even bigger cache of “color” was found at a nearby stream known as Eldorado. As the discoveries piled up, many prospectors amassed huge fortunes virtually overnight. 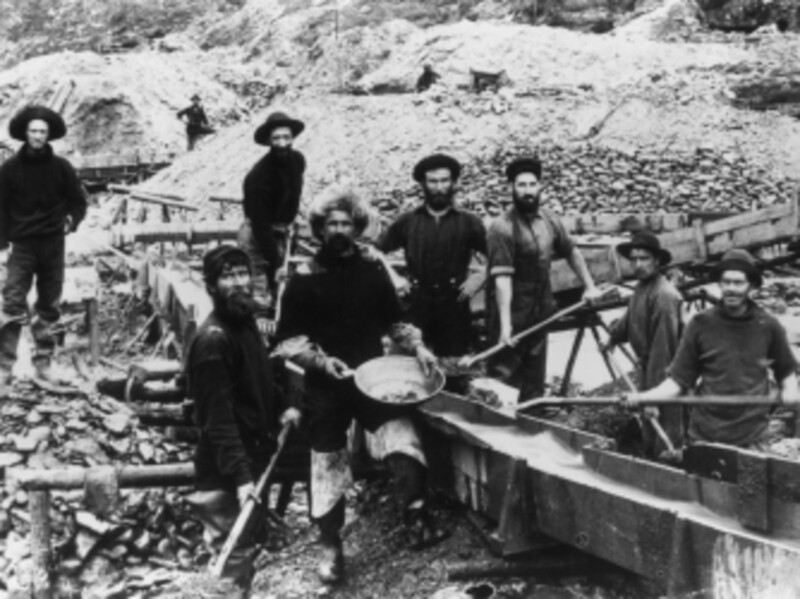 Miners panning and digging during the gold rush. The Yukon’s remoteness ensured that the early months of the gold rush were mostly a local affair. Americans knew nothing of the bonanza until July 1897, when a pair of ships laden with more than two tons of Klondike gold steamed into Seattle and San Francisco. The news immediately whipped the West Coast into a frenzy. 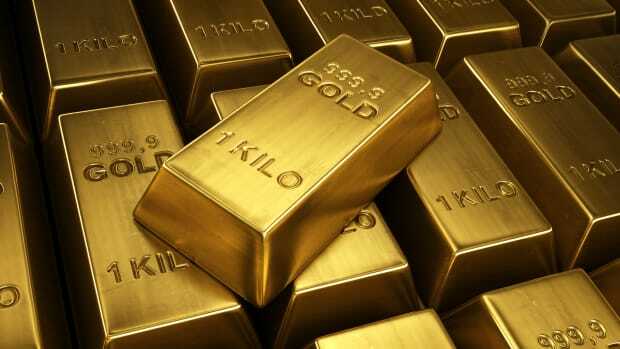 “GOLD! GOLD! GOLD! GOLD!” read a headline in the Seattle Post-Intelligencer. “STACKS OF YELLOW METAL!” Within days, thousands of people—including Seattle’s mayor—had quit their jobs to seek their fortune in the far North. Steamer tickets became almost impossible to acquire, and merchants began peddling a host of Yukon-branded food, clothing and guidebooks. One company even advertised a special “Klondike Bicycle” that was supposedly designed to carry supplies through the mountains. Some 100,000 “stampeders,” as they became known, eventually set off for the Klondike. The Canadian government tried to head off a starvation epidemic by requiring the pilgrims to bring a year’s worth of supplies, but many of the men remained woefully unprepared for the hazards of the Arctic. “Not one in ten, or a hundred, knew what the journey meant nor heeded the voice of warning,” Harper’s Weekly correspondent Tappan Adney wrote. 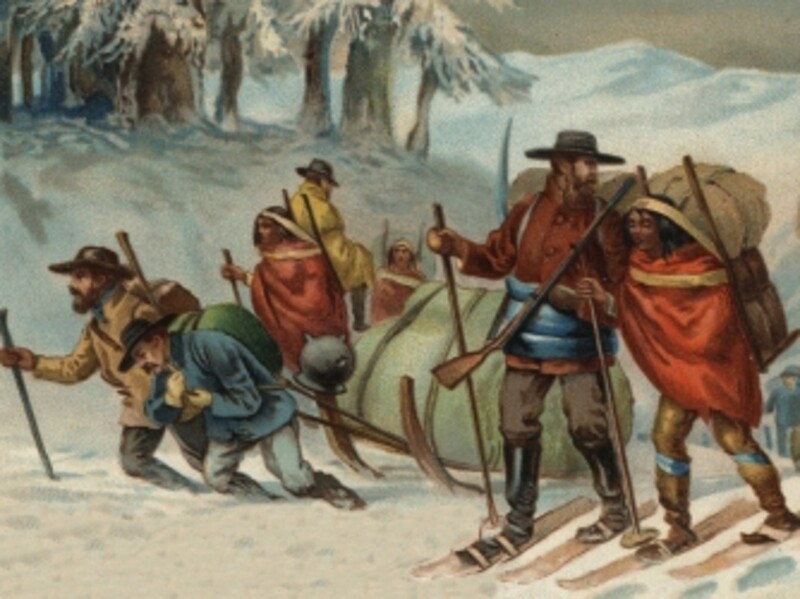 Illustration of miners en route to Klondike. As the inexperienced prospectors soon discovered, just getting to the Klondike was a herculean task. From the main jumping off points in the Pacific Northwest, the majority of travelers sailed north to Skagway or Dyea, a pair of crime-ridden boomtowns on the coast of Alaska. If they managed to escape without being swindled out of their supplies, they then took one of two overland routes through the Coast Mountains: the 43-mile White Pass or the 32-mile Chilkoot Pass. White Pass was the less steep of the two, but its surface was strewn with rocks and was often impassable. It eventually became known as “Dead Horse Trail” for the thousands of animal carcasses along its paths. 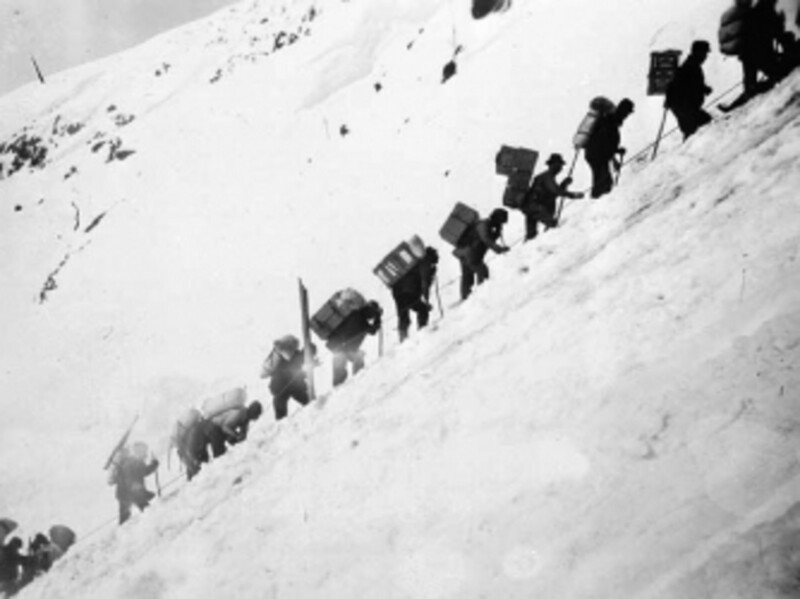 Chilkoot, meanwhile, boasted such a steep incline that it was impossible for pack animals to navigate. Men were forced to march up its snow-covered slopes one after the other with their gear strapped to their backs. It often took several dozen trips for them to lug all their supplies through the pass. Even after they finally exited the mountain passes, prospectors still had to build flimsy boats and float an additional 500 miles down the Yukon River to the Klondike gold fields. The combined overland trek and river journey often took over a year, and scores of miners died along the way from cold, starvation, avalanches and drowning. Even more turned back out of sheer exhaustion. Of the estimated 100,000 people who headed north, only around 30,000 actually made it to the Klondike. Prospectors on the “Golden Stairs” of Chilkoot Pass. Despite the high rate of attrition, by the summer of 1898, the Yukon was bustling with new pioneers. Dawson, the closest town to the gold fields, was transformed from a frozen backwater into one of the most populous cities in all of Canada. Gold dust and nuggets were accepted as payment in all its saloons and brothels, and many Klondike millionaires squandered their wealth just as quickly as they mined it. “Swiftwater” Bill Gates, a former dishwasher who had struck it rich with a claim on Eldorado Creek, famously frittered away a fortune on gambling, whiskey and women. He once even offered a dancehall girl her weight in gold in exchange for her hand in marriage. 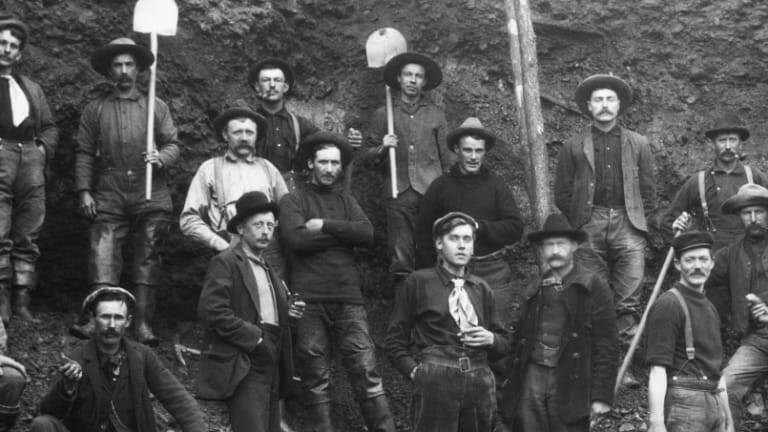 Miners display a large gold nugget during the Klondike gold rush. One of the most famous failed prospectors was author Jack London. 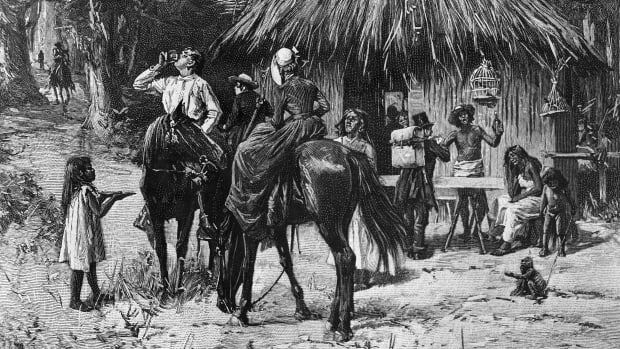 In 1897, the 21-year-old raised money from his family and journeyed to the gold fields, only to develop a crippling case of scurvy during his first winter in the Yukon. He returned home the following year flat broke, but later drew on his gold rush experiences to write “The Call of the Wild” and many other beloved works of literature. 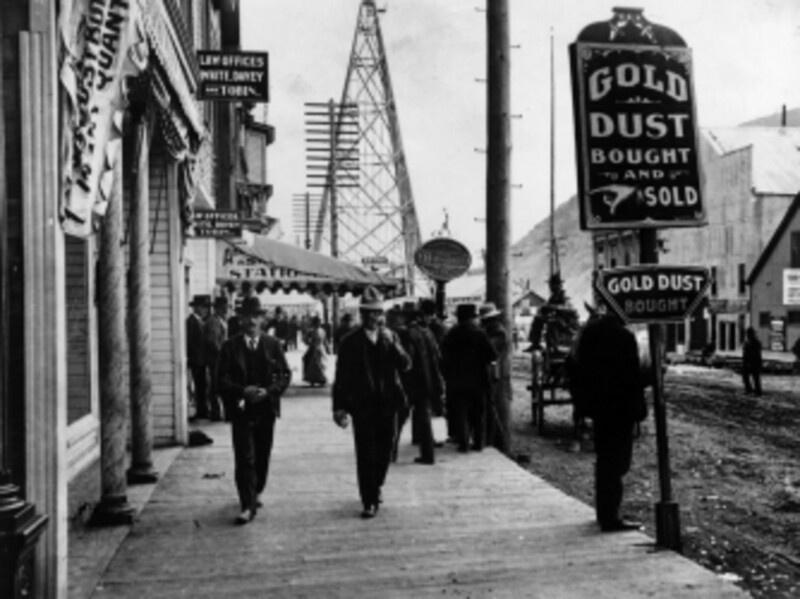 Main Street in the mining town of Dawson City, in Canada during the gold rush. 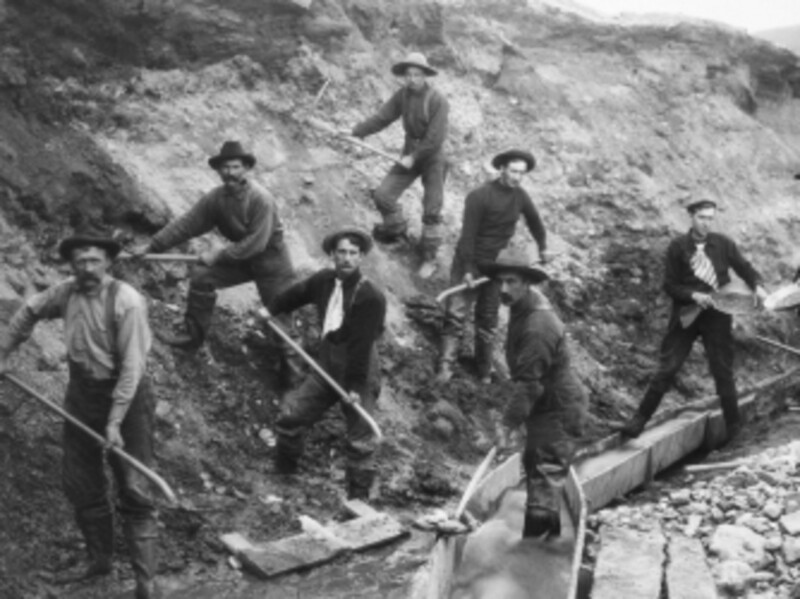 While the rush was over by the early 20th century, people never stopped searching for gold in the Klondike. 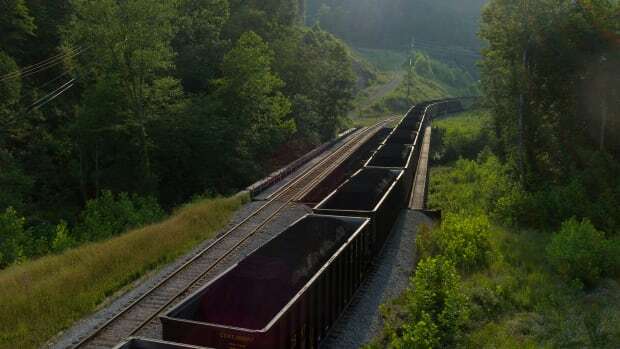 After the pick-and-shovel stampeders left, industrial mining companies moved in and continued the hunt until the 1960s. 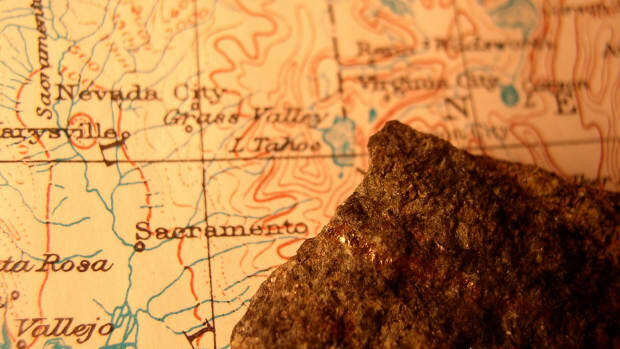 Even today, the region still boasts a small local prospecting industry. It’s been estimated that since the original strike in August 1896, the Klondike has produced anywhere from 13 to 20 million ounces of gold.